We are proud to bring you book two by Yoshiyuki Ly! 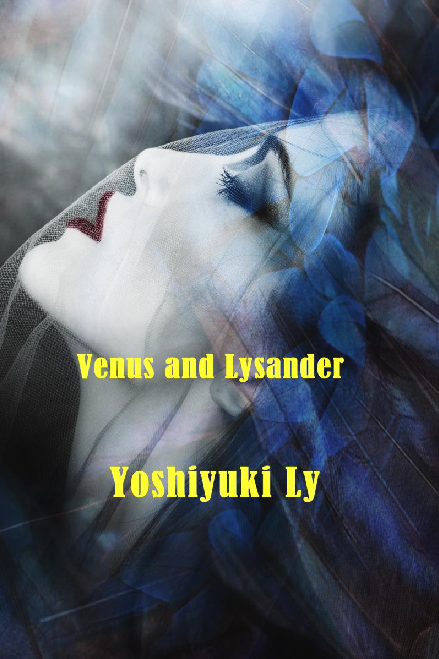 Get your #Venus on today as we release Venus and Lysander! Living as a nobleman and as a woman, Valerie of Lysander is sick of waiting for the world to change. The discrimination she suffers as an outcast builds into resentment. a sorceress-in-hiding. She is forced to conceal her identity from the religious public for fear of death. As she learns to trust in Val’s chivalry and affections for her, they both fall for the softer sides behind their similar bulletproof personas. Lucrezia receives a mysterious warning about a sadistic enemy threatening the Azrith and Lysander families. Once they discover their nemesis’ true motive, Val and Lucrezia’s tyrannous devotion for one another is all they can count on to survive. serious hobby. Her pen name is representative of her multiracial heritage and a unique, diverse outlook that is reflective in her work. While pursuing an undergraduate degree in philosophy, she spent her free time reading the works of Virginia Woolf, Soren Kierkegaard and Simone de Beauvoir. She then spent the next years honing her craft to become a published author. After years of serving a corrupt government, Ser Videl, an idealistic paladin, learns that her younger sister is tangled in a dark scheme against Raj Mangala, the compassionate yet troubled empress of the city’s oppressed lowtown; the two women meet and are deeply drawn to one another, finding a shared sanctuary in their violently-divided city. Videl’s loving devotion is just what Raj craves, but Raj is wary of letting her guard down while protecting her throne. Determined to prove her worth, Videl chases after Raj and works to unravel the mystery of the plots against the empress. Raj wants Videl to serve her emotional and sexual needs, and the two explore a meaningful relationship of dominance and submission that delves fully into their deepest wants. When the conspiracy against Raj comes to a head, Videl’s loyalties are tested when she is forced to choose between her past and her empress. Books On Fire Tours ~ A world of make believe and magic continues in this book. The days of Ser Vidal and Raj Mangala have long since gone, but their legacy and the consequences of their actions continue. A gripping story filled with toned down LGBT and far more action! Time travel, other dimensions and most of all, paranormal beings complicate the lovers’ lives and their views on magic. Fall in love again with characters called Val and Lucrezia. Meet the reluctant Emperor and the threats surrounding his empire and all of their secrets. Can it be saved by the love that Val and Lucrezia have for one another? Both are strong female protagonists, however both have their own fears where it comes to love, their secrets and the ones they care about. Get gripped in this nail biting action romance! 12 NYT, USA Today, and International Best Selling Authors, bring you brand-new, paranormal shifter romances that are sure to make this a Shifters Hallows Eve you’ll never forget! In short, she is generally a bit of an eccentric who lives her life slightly left of center. You can find out more about Jan and her work by stalking her on the various social media sites where she occasionally hangs out. or by signing up to receive her newsletter –Sign me up.